When the governing board of the California stem cell agency last month considered proposals for a $40 million genomics stem cell center, it failed to disclose the names of the grant reviewers who were barred from reviewing the applications because of conflicts of interest. Normally, the names are reported to the public when the $3 billion agency posts summaries of the reviews of applications – prior to consideration of the proposals by the agency's board. The departure from the agency's normal grant-making procedures is not the first in the genomics round, which is the subject of an internal examination by the agency that includes the board's outside counsel, James Harrison of Remcho Johansen and Purcell of San Leandro, Ca. Allegations of conflicts of interest and complaints about the role of CIRM President Alan Trounson, score manipulation, irregularities and unfairness have been raised. It is unlikely that the normal disclosure of conflicted reviewers' names would have affected the outcome of the genomic awards at the governing board meeting Jan. 29. However, if questions had been raised at the public board meeting about the absence of the names, concerns about the closed-door review process may well have been elevated, given the earlier conflict-of-interest violation involving reviewer Lee Hood. The names of the reviewers with conflicts were added to the review summaries this week following an inquiry Monday by the California Stem Cell Report, which sought to double-check the apparent fact that no reviewers were in conflict since none were listed as recused. Here are the names of the reviewers now listed on the CIRM review summaries as being recused and the four applications involved. The four were recommended for funding by reviewers. Stanford-Salk's winning application, Richard Gibbs, Maynard Olson; UCLA, Bradley Bernstein, Richard Gibbs, Aarno Palotie, Barry Rosen; Scripps-Illumina, Maynard Olson, Martin Pera, Jared Roach; UC San Francisco–UC Berkeley, none. The California stem cell agency last week put a little distance between it and its former chairman, Robert Klein, who is currently touting a new, $5 billion bond measure to rescue the agency from its financial demise. The agency's comments came in response to a news story about comments that Klein, a Palo Alto real estate investment banker, made at a symposium at UC San Diego's Moores Cancer Center. Klein, who left the agency nearly three years ago, has talked for several years about another bond measure on top of the $3 billion, 10-year borrowing effort approved by voters for CIRM in 2004. His latest statements are the first in which he has publicly specified a figure. Currently the agency is looking into some sort of public-private arrangement that could finance its operations beyond 2017, when funds will run out for new awards. The 2004 initiative limited the agency's $3 billion bond authorization to only 10 years. CIRM is counting the 10 years as beginning from the date the first bonds were sold. So far, the assumed public contribution for CIRM's future is a fraction of what Klein is touting – only $200 million. Klein's public appearances around the state talking up another bond measure raise questions about how his efforts fit with the planning of the agency itself and the financial explorations of the current chairman, Jonathan Thomas, a Los Angeles bond financier, and other members of the CIRM board. California policy makers, potential wealthy donors, foundations and corporations may well be confused about whether Klein is speaking for the agency either directly or indirectly. Given McCormack's carefully worded statement, it is reasonable to assume that CIRM is not entirely enthusiastic about Klein's bond measure pronouncements. The California stem cell agency yesterday confirmed that the counsel to its governing board, James Harrison, is involved in the examination of its $40 million genomics round, which has been criticized for irregularities, unfairness,score manipulation and the role of its president, Alan Trounson. Harrison has been with the board since its inception and wrote parts of Proposition 71, the ballot initiative that created the $3 billion research effort in 2004. Harrison, who is a partner in the Remcho Johansen & Purcell law firm of San Leandro, Ca., also has expertise in conflicts of interest and ethics. He is on contract with the agency and is not an employee. In response to a question Feb. 8, asking whether Harrison was looking into the grant review process in the genomics round, Kevin McCormack, senior director for communications, confirmed that the agency was examining how the applications were handled. However, he did not reply directly to the question of whether Harrison was involved in the inquiry. The California stem cell agency has backed far, far away from a tobacco tax initiative that would provide it with more than $200 million a year – funds that could save it from an untimely demise in a few short years. The leadership of the $3 billion enterprise fears that the tobacco industry would tar the entire stem cell research field in a no-holds-barred ballot campaign financed with $50 million or more. Thomas said that initially the ballot proposal sounded “great” but after agency officials talked to political consultants and pollsters, their perspective changed. He said that he understood that the agency is being written out of the proposed initiative which is aimed at funding a wide range of brain research. Thomas made his comments at a meeting of the only state body charged with overseeing the finances of the stem cell agency – the Citizens Financial Accountability and Oversight Committee, which is chaired by State Controller John Chiang. Thomas was commenting in connection with the fact that the agency will run out of funds for new grants in the latter part of 2017. Our take: Thomas is correct that it would be a bloody campaign. Stem cell research is a big target. However, the tobacco industry is even bigger. It needed to spend $50 million to very narrowly defeat a similar tax measure in 2012 by only 30,000 votes out of 5 million cast. A successful campaign for the stem cell agency would be about life (stem cells) versus death (tobacco). Indeed, a truly vicious campaign by the tobacco industry could well backfire on the industry, creating even more antipathy and animosity than now exists. A winning ballot measure also needs a good villain to help rally support. In 2004, when the stem cell agency was created, the campaign had that villain -- former President George Bush and his restrictions on human embryonic stem cell research. A ballot proposal could win but it would take a united front, an early start and a willingness to take some fire. Important policy issues, however, would arise involving dedication of tax revenues for a specific purpose, one of the reasons the state of California has had financial difficulties. All of which is moot since the agency has made it clear that it is not game for the battle. The California stem cell agency today said it has begun an examination of the grant review process in its $40 million genomics round, which has been criticized for irregularities, unfairness, score manipulation and the role of its president, Alan Trounson. The agency confirmed the inquiry after the California Stem Cell Report asked last Thursday asked whether the board's counsel, James Harrison, was looking into the matter. Harrison, who is with Remcho Johansen and Purcell of San Leandro, Ca., has been outside counsel to the board since its inception. He drafted portions of Proposition 71, which created the $3 billion research effort in 2004. Harrison has expertise in conflict of interest and ethics issues as well as other related public policy matters. Harrison's role at the agency exceeds that of a simple attorney. His length of service, knowledge and skills give him much wider influence. CIRM's examination of the genomics round review followed complaints from rejected applicants and others about the process, which has been covered extensively by the California Stem Cell Report. Trounson has come in for criticism in connection with the review and his subsequent recommendation in favor of the successful Stanford-led bid. One of the critics is Jeanne Loring, head of the stem cell program at the Scripps Research Institute and whose genomic application was rejected by Trounson and the CIRM staff. Her application and two others were recommended for funding by reviewers. Loring has contradicted Trounson's assertion that all applicants were given information that matching funds were part of the review criteria. Her application contained none. Stanford said it had $7 million. Loring said that Trounson has interfered in CIRM's review processes in favor of Stanford. Trounson has been a guest at a Montana ranch owned by Irv Weissman, head of the Stanford stem cell program. Trounson did recuse himself in an earlier round involving an application linked to Weissman, but did not recuse himself in the genomics round. Weissman was not listed in the latest Stanford application, but was in its original version. The associate director of Weissman's Stanford stem cell institute, Michael Clarke, was included in the final CIRM-approved version. Trounson lauded Clarke at the governing board's meeting last month in support of the Stanford project. The “genomics award” item on Feb. 9 erroneously identified Stanford researcher Michael Clarke as William Clarke. A number of firsts were recorded last month as the California stem cell agency gave $40 million to a Stanford-led consortium to put California in the global forefront of stem cell genomics. Not all of those firsts necessarily enhanced the reputation of the California Institute of Regenerative Medicine (CIRM), as the $3 billion agency is formally known. The unusual events and irregularities surrounding the award, CIRM's largest research grant, merit additional attention, given their implications about the integrity of the agency's grant review process and how the agency does its business. The California Stem Cell Report recently asked a number of persons connected with the round and other knowledgeable individuals about the process. Their comments included a judgment that the agency staff “took a lot of liberties behind closed doors.” One of the rejected applicants "unequivocally" disputed assertions by CIRM President Alan Trounson that all applicants were informed by him about the need for matching funds, a key criteria for grant reviewers. The request for applications did not contain such a requirement. The comments came in addition to earlier complaints by rejected applicants that scores had been manipulated in an “appalling” fashion and that scientific merit was not the first order of business in assessing the top four applications. Also surfacing was a problem generated by Proposition 71, the ballot initiative that created the stem cell agency in 2004. The measure set up a 29-member governing board, including deans of medical schools and others with ties to research organizations. The board was supposed to exercise its expertise on funding decisions. However, only seven members of the board actually voted in the genomics round. Most of the rest had legal conflicts of interest and were not allowed to even participate in the discussion. It is not unusual for that sort of situation to arise during funding decisions by the board. The CIRM stem cell genomics story began publicly in a scientifically big way with an article in the journal Nature Biotechnology in January 2012 by Trounson and two members of his staff. In it, Trounson said his proposal was needed so that the agency could take a "firm and lasting grip" on stem cell leadership. Later that month, the governing board of the agency approved the concept for one or two genomics award. In February 2013, grant reviewers for CIRM, whose identities are withheld by the agency, took a crack at the applications. However, they declined to send any applications forward to the board for final action. It was the first time in the agency's nine-year history that has occurred. The reviewers offered no public explanation for the move. The closed-door review session was marked by a conflict-of-interest violation by Lee Hood of Seattle, Wash., an internationally known genomics specialist, who was recruited by Trounson to be a reviewer in the round. Hood is a close friend of Irv Weissman, who heads Stanford University's stem cell institute. Weissman was named in Stanford's then $24 million application. Hood and Weissman also own a ranch together in Montana. Trounson has been a guest at the ranch. In 2012, he recused himself during CIRM board discussions of two applications involving Weissman. The applications were from StemCells, Inc., of Newark, Ca., for $20 million each. StemCells, Inc., was founded by Weissman, who still holds a large amount of stock in the firm and serves on its board of directors. Following the unsuccessful genomics review in February 2013, the applications were sent back to researchers with reviewer comments. The proposals could be retooled for a re-review in the fall, they were told. After the fall review, the reviewers – minus Hood -- sent the applications to the board with recommendations to fund all four despite the fact that they would cost $146 million, well above the $40 million budgeted for the round. It was the first time that reviewers had made such a decision. Normally they stay within the budget, but they offered no public explanation for their actions in the genomics round. At that point the CIRM staff, headed by Trounson, became more involved. Under new procedures, the staff may make recommendations concerning applications. In this case, they recommended that only the Stanford application be funded, but only after restoring a provision eliminated by reviewers. Trounson also recommended no funding for the three other top applications in the round. It was the first such major intervention by Trounson and the most aggressive staff move on grant applications. Trounson offered only a 23-word phrase for recommending the Stanford application and no explanation for rejecting the other three. Stripped from the public review summaries for the three competing applications were the dollar amounts that they had requested. It has been the longstanding practice of the agency to include those figures. The amounts ultimately were made available to the board at its Jan. 29 meeting. At that meeting, Trounson strongly backed retention of funding in the Stanford application for a project led by Michael Clarke, associate director of Weissman's stem cell institute at Stanford. Following the 2013 conflict violation involving Hood and Weissman, Weissman was removed from Stanford's application. Clarke was included, however. 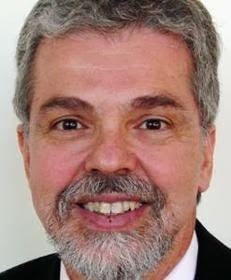 No questions were raised at last month's board meeting about whether Clarke could be regarded as a surrogate for Weissman's interests and whether that would involve a conflict of interest for Trounson. Late in the meeting, Trounson also said that he had personally told all the applicants, with the exception of Stanford, that matching funds were expected as part of the applications, an assertion disputed following the meeting by Jeanne Loring of the Scripps Research Institute, whose rejected proposal contained no matching funds. Stanford said its application contained $7 million in matching funds. The agency withheld the figures when they were requested by the California Stem Cell Report prior to the Jan. 29 board meeting, although it has released the figures in at least one other grant round. Complaints about manipulation of the scores were raised prior to the board meeting by Pui-Yan Kwok, leader for an application from UC San Francisco and UC Berkeley. He said that the scores of the top to applications were “based on the reviewers removing from consideration the poorest performing center-initiated projects.” He described the situation as appalling. The agency defended its practices at the board meeting and in response to questions. It said the scoring procedures were permitted under the RFA. It said that while the procedures may be different than those of the NIH so is the stem cell agency. It said that all persons involved had been screened for conflicts of interest under CIRM rules and state law. “The 29-member board is difficult enough to deal with, but now that most of the members are considered to be conflicted and are not allowed to even discuss the applications, we are left with a small number of non-scientists making decisions about scientific merit. “It appears that CIRM staff took a lot of liberties behind closed doors in driving this initiative to its final outcome. For example, what happened to require a resubmission and re-review etc. Did they change anything about this initiative in the process? Were certain criteria shared with some but not all applicants? “The questions (all legitimate) raised by the certain members of the board were by and large not understood or picked up by the other voting members, so they went nowhere. Here is the text of comments from Jeanne Loring, director of the Center for Regenerative Medicine at the Scripps Research Institute, in response to questions from the California Stem Cell Report concerning the review process for applications in the $40 million stem cell genomics round. Boldface within Loring's response is hers. Parenthetical identifications of terms or individuals have been inserted in Loring's remarks by the California Stem Cell Report. California Stem Cell Report: What questions do you think need to be addressed considering the events surrounding the award? "1. What instructions were given to first round applicants about merging applications? "Alan (Trounson, CIRM's president) visited all of the first round applicants. On his visit to San Diego, Alan met separately with me and my Illumina partners, Larry Goldstein of UCSD and Craig Venter of the Venter Institute. Alan told me that Larry had taken him to a mens' club and Craig had taken him to a motorcycle dealership. I took him for a tour of Illumina's new facilities, which I thought was appropriate for a scientific site visit. "At his visit to all of the first round applicants, Alan Trounson suggested that we merge our applications if we could. My interpretation of that suggestion was that we actually merge our center proposals- UCSF's with ours, for example. I was not told that addition of subcontracts from other institutions could be interpreted as a merger with those institutions. The Stanford group's claim that Scripps and Illumina were consortium members of theirs was disingenuous, since our Scripps/ Illumina consortium was a competing genome center application, and we did not merge any part of our application with Stanford's. "To make the claim that they had 'merged' with Scripps and Illumina, Stanford added one project from a junior faculty member at Scripps, and contracted Illumina to do sequencing for them- they have had long-standing contracts with Illumina for services. "The difference between Stanford's relationship with Illumina and my relationship with Illumina is analogous to Stanford paying a Tesla dealer to repair a car and me teaming up with Tesla to design a new type of car. "We were not told who the other applicants were, which made it a challenge to determine who we might merge with. We chose to contact Pui Kwok, through my collaborator Susan Fisher at UCSF, Joe Ecker at Salk, Mike Snyder at Stanford, and Josh Stuart at UCSC about potential partnering. "When I spoke with one of the people we contacted, he said that I could get a place in the consortium put together by Stanford if I were to get my institution to contribute $2 million in matching funds. This was not entirely a surprise; I had heard from colleagues at UCSD that UCSD's vice chancellor, David Brenner, had initiated the collection of matching funds by pledging $2 million to the consortium. "2. At the Grants Working Group(GWG, the grant review group): what differences were there between the stated requirements in the RFA and what the reviewers were told to do during the meeting? "That makes me wonder if the reviewers told at the GWG meeting to include monetary contributions from the potential grantees positively in their scoring, in spite of the fact that their scoring is stated by CIRM as being solely on the basis of scientific merit? "During the ICOC (the agency's governing board) meeting, Alan Trounson said that he had told us during his visit to all of the first round grantees that it would be important provide money for 'matching' funds. I state unequivocally that he did not tell me or anyone in my lab about this. "Scoring applications after removal of projects that the GWG scored poorly. "We learned when the reviews were posted that the GWG scored two of the Stanford center projects very poorly. We do not know the actual scores they gave those projects, nor do we know what scores were given to our own projects. We do know that CIRM instructed the GWG to score the entire Stanford grant after removing the two low scoring projects. All three of our projects scored high enough to be included in the overall review of our application. "The Stanford project received a range of scores from 70 to 95 after the two projects were removed. Our application received a range of scores from 70 to 88 with all projects left in place. It is not much of a stretch to imagine that if the low-scoring Stanford projects had been kept in, there would not have been scores of 95 by any of the reviewers. It is not too speculative to suggest that their scores would have been lower, perhaps lower than ours, if the low-scoring projects had not been removed. We were not told of the practice of the GWG altering grants in order to improve the scores of those grants. I am also appalled that this was done, since it is not allowed in NIH review of multi project U and P awards, the closest equivalent to the CIRM genome center award. 'P' awards are Program Project Grants, in which several investigators write sub-proposals to be done in concert with each other. I review these grants, and we are instructed that we cannot remove subprojects in order to change the scores. Similarly, 'U' awards are for consortia that are to be coordinately managed. I also review these applications, and again, it is forbidden for us to alter the applications as written. The goal of the reviewers for these NIH awards is to 'review the grant we are given'. CIRM staff indicated at the ICOC meeting that the GWG had recommended funding of the Stanford project. 'ICOC/Application Review Subcommittee MeetingFunding decisions will be made by the Application Review Subcommittee of CIRM’s governing board, the Independent Citizens Oversight Committee (ICOC), at a public meeting that will be held in Berkeley, CA on January 29, 2014. The Subcommittee, which meets concurrently with the Board, is composed of 16 voting members (the Patient Advocate and Industry members of the Board, along with the Chair and statutory Vice Chair of the Board) and 13 non-voting members (the 13 members of the Board who are appointed from institutions that are eligible to receive CIRM funding). In the meeting, CIRM did not present information about any application except Stanford's, giving the strong impression that this application was the only one of merit. The ICOC members of the Application Review Subcommittee were not provided with the applications in order to assess the factors they were charged to assess. California Stem Cell Report: Are there structural issues created by Proposition 71, the measure that created the agency, that made things more or less difficult? "The 29-member board (ICOC) is difficult enough to deal with, but now that most of the members are considered to be conflicted and are not allowed to even discuss the applications, we are left with a small number of non-scientists making decisions about scientific merit. "I know that many members of the ICOC were very upset that they were unable to voice their opinions about what should be their mission- to guide CIRM's policies and choices for funding so that they are in the best interest of the voters." California Stem Cell Report: Are there processes at CIRM that show weaknesses or need to be re-examined? Do you have any specific recommendations for changes? "The ICOC members should be provided with all of the grant applications as well as the reviews. They can choose to ignore them, but if they find that certain grant apps or disease-specific areas require more high level consideration, they should have the tools to provide that guidance. "I am concerned about the interference of the CIRM president in influencing the ICOC decisions. He has de facto power to promote or defeat specific applications, and he often wins by promoting one applicant over another. Stanford and Stanford faculty-founded companies such as Stem Cells Inc, are blatantly promoted over others. The relationship between the president and the head of the stem cell program at Stanford involves personal favors which make him conflicted and he should at the very least recuse himself from any discussion or recommendation of Stanford faculty's applications." Thank you for submitting your application under the California Institute for Regenerative Medicine’s (CIRM) Stem Cell Genomics Centers of Excellence Awards RFA 12-06. We are providing you this report as the Program Director (PD) and designated point of contact on the application, but it is your responsibility to share this information as appropriate with members of your team. The applications underwent peer review at a meeting held on November 7-8, 2013 by the members of CIRM’s Grants Working Group (GWG). Applications were reviewed using the criteria detailed in the RFA and scored on scientific merit. Review ReportBelow, please find the Review Report of your application. This report includes the average scientific score and the funding recommendation of the GWG. Applications are scored on a scale that ranges from 1 – 100, with 100 being the highest achievable score. The Review Report provides only a brief summary of the evaluation of your application by the GWG. The report is not an exhaustive critique and does not cover all of the factors that may have contributed to the final score or the final recommendation. The report highlights key points relevant to the review criteria that were captured from reviewers’ written comments and from the discussion of your proposal by the GWG during the review meeting. ICOC/Application Review Subcommittee MeetingFunding decisions will be made by the Application Review Subcommittee of CIRM’s governing board, the Independent Citizens Oversight Committee (ICOC), at a public meeting that will be held in Berkeley, CA on January 29, 2014. The Subcommittee, which meets concurrently with the Board, is composed of 16 voting members (the Patient Advocate and Industry members of the Board, along with the Chair and statutory Vice Chair of the Board) and 13 non-voting members (the 13 members of the Board who are appointed from institutions that are eligible to receive CIRM funding). The Applications Review Subcommittee will conduct a programmatic assessment of applications reviewed by the GWG. The Subcommittee may consider any factors (such as availability of funds, overall grant portfolio, RFA priorities, strategic considerations) that might impact on their decision to fund or not fund applications. The Subcommittee aims to fund applications that are both scientifically meritorious and that bring programmatic value to the CIRM portfolio. Under California’s open meeting laws, members of the public, including applicants for CIRM funding, may provide written and oral comments to the ICOC regarding items on the Board’s agenda. Applicants may attend and observe the ICOC meeting. Applicants may contribute oral comments for not more than three (3) minutes during the public comment periods. The ICOC Chairman will announce the public comment period, which typically occurs prior to the Board’s voting on any motion. Applicants may also provide written comments to the ICOC. All correspondence to the ICOC must be submitted to the Executive Director of the ICOC, Maria Bonneville, at mbonneville@cirm.ca.gov. Please do not send correspondence to the ICOC that relates to an appeal of a funding recommendation by the GWG as it will be redirected to the CIRM Review Office (see “Response to Review” below). In preparation for the ICOC meeting, the Review Report (with PI and institution identities removed) will be posted no later than Friday, January 17, 2014 on our website at http://www.cirm.ca.gov/ReviewReports. Additional information for CIRM’s public meetings can also be found on our website. Award NotificationCIRM will notify you by email of the ICOC’s funding decisions following the ICOC meeting. Recommendation Overview: The GWG provided two final scores for each application as follows: 1) an overall center score (covering the center-initiated projects, collaborative research activities, and center organization and operations plan) and 2) a data coordination and management component score. The overall scientific merit and quality of the proposals submitted under this RFA were viewed by the GWG to be deserving of high scores. Overall center scores placed four proposals in Tier 1, one proposal in Tier 2 and none in Tier3. The separate data management and coordination component scores placed two proposals in Tier 1, two in Tier 2 and one in Tier 3. The GWG understood that this initiative will support only one or two centers and only a single data coordination and management component within a total budget of $40M. However, as the GWG's scores and recommendations were based solely on scientific merit, the group did not select which center(s) should ultimately be funded as this is a programmatic assessment. CIRM staff is recommending that the ICOC fund only the highest scoring genomics center and the corresponding highest data coordination and management center which together will fulfill the goals of this initiative. EXECUTIVE SUMMARYThis Genomics Center will be led by a program director (PD) from an academic institution and a co-PD from an industry organization. Three Center-Initiated Projects (CIPs) are proposed, and, as required by the RFA, a plan for inclusion of Collaborative Research Projects and a Data Coordination and Management Center are described. Center Organization and Operational Plan - The organization of the proposed Genomics Center is well conceived as a collaboration between highly qualified investigators from an academic institution and an industry partner, representing a diversity of competencies. The balance between expertise in stem cell biology and genomics technologies is a particular strength. - The PD has extensive research experience at the interface of stem cell biology and genomics and is committed to serving the stem cell community; he/she is well suited to lead this program. - The industry partner institution, and especially the co-PD, is well positioned to develop novel cutting edge genomics technologies and make them accessible to customers. - The teams from the two applicant institutions have a well-established, strong working relationship; reviewers considered this an important attribute of this proposal. - All elements necessary for the establishment and operation of a successful Genomics Center are in place; the structure and composition of the proposed administrative and oversight committees are appropriate and should ensure both delivery of projects and high standards of work. - The three CIPs are designed to support the service aspects of this Genomics Center by focusing on the development of tools that can be generally used to explore genomics data. Reviewers considered it a strength that, if successful, these projects will both create novel tools and technologies and validate them. There was some concern that some of the tools may not be made easily and widely available. - Although a letter from leadership indicates enthusiastic institutional support from the academic institution, no additional funds or specific dedicated space have been designated. Reviewers expressed serious concern about this lack of material commitment. - Some reviewers expressed concern that both the PD and co-PD are already heavily committed individuals and questioned whether they would have the capacity to fully provide a strong commitment to this project. Center Organization and Operational Plan - The proposed Genomics Center appears well designed to support collaborative research projects and to make relevant state-of-the-art genomics technologies readily accessible to investigators with primary expertise in stem cell biology or translational research. - The proposed application process is appropriate, review procedures and criteria are well thought out. - The offer to culture cells for external collaborators in the Genomics Center's core lab is especially appealing, as that would remove a variable from the experiments and thus help with standardization of conditions for genomics assays. - Concern was expressed about whether potential collaborators who have limited experience in genomics would receive adequate assistance in designing their proposed studies. CIP-1The applicants propose to develop an updated and expanded version of an existing genomics tool. They plan to make available global gene expression and epigenomic data, obtained through a series of systematic analyses of human pluripotent stem cells and their derivatives, to serve as reference for future experiments. They also propose to analyze the heterogeneity of stem cell populations and to develop genomic tools for the assessment of stem cell quality. Finally, they intend to use disease-specific induced pluripotent stem cells (iPSC) to study the molecular basis of two neurodevelopmental diseases and identify disease-modifying compounds. - This project adopts a broad approach toward developing pragmatic, accessible tools for basic research on stem cells in vitro, and to lay the groundwork for more effective clinical translation. This would represent a valuable resource to the stem cell community. - Enthusiasm was diminished by the notion that most of the activities are applications of existing tools or extensions of existing work. While important goals, the activities were not viewed as particularly innovative. - The goals of this project are overly ambitious, raising doubt that all aims can be achieved. Given the tremendous track record of the principal investigator (PI), though, it is expected that substantial progress will be made. - Reviewers' opinions about the utility of an already existing analytical tool, to be further developed under this award, were divided. Some judged it positively as an important tool that has been made freely available in its current form and were enthusiastic about the plan for dissemination of the updated version. Conceptually, they considered the proposed approach to be very valuable, as it has the potential to provide objective standards for assessing cell fate and for quality control of cell populations. Other reviewers expressed concern that the current tool has not been widely adopted in the stem cell community, calling into question its usefulness. - The proposed work on neurodevelopmental diseases is disconnected from the central focus of this project and might have been better developed as a separate project. - Reviewers criticized the general lack of experimental detail, particularly in aims 4 and 5, which impeded assessment of feasibility. - The project plays to the strengths of the PI as a well-established leader in the stem cell field with a strong record of productivity and innovation. - The broad scope of the project is matched by the experience and expertise of the team involved. CIP-2This project addresses the integrity of stem cells for clinical transplantations and their utility in translational and clinical research. The goals are to establish informatics tools for determining the functional significance of genome wide molecular variations in therapeutic stem cell populations and to develop and validate methods for assessing the prevalence of deleterious alterations in stem cell populations. The applicants also plan to develop and validate a workflow for integrating genomics information with identification of potential therapeutic compounds and their effects on patient-derived induced pluripotent stem cells and on patient treatment outcomes. Finally, the plan is to disseminate all developed tools and protocols to the stem cell community. - The utility of the proposed tools and protocols for translational genomics-based research would be high. - The first goal is straightforward and feasible. Reviewers emphasized that input data must be high quality, as noted by the applicants, and suggested that applicants consider that the cellular differentiation state may affect functional significance of specific genomics variation. - Other goals are more risky, but if successfully developed, they should be widely applicable and help stimulate the use of stem cell-based systems to explore both disease mechanisms and potential therapies. - Toward assessing prevalence of deleterious alterations in stem cell populations, reviewers recommended that a variety of additional stem cell datasets, especially some originating outside the team, be included in the project. - The feasibility of a key component of the study, linking genomic information from patients to potential therapeutics and individualized treatments, was difficult to assess, since the applicants did not specify the types of diseases to be studied. - Reviewers observed that parts of this proposal are vague and hard to follow, and it was unclear what some of the deliverables would be. - There is a clear plan for dissemination of the acquired expertise and knowledge. - The PI is well qualified for this work and has assembled a powerful leadership team that possesses the necessary expertise. CIP-3This project is led by the industry partner organization and is focused on the development of several single cell genomic technologies and tools for large-scale epigenetic analyses. - Reviewers noted that only one of the technologies under development is truly stem cell-specific, but the proposed work would nevertheless deliver technologies extremely valuable to the stem cell community. - The tools to be improved or developed are at the forefront of technical advances. - Reviewers geatly appreciated the novelty of one of the proposed technologies. - Some reviewers were concerned that the project essentially constitutes commercial development of genomic products and questioned whether it was appropriate for CIRM to support this activity. Others felt that the developed technologies would provide valuable research tools and could have great potential impact on stem cell science. - Concern was expressed about whether the new technologies would be specifically disseminated to California investigators and whether their cost might be prohibitive to many researchers. - The basic technologies underlying this proposal have already been developed and it should therefore be feasible to complete the proposed developments in the proposed time scale. - The PI and team are exceptionally well qualified to deliver on this project. Data Coordination and Management - The DCM team is led by two individuals. One has a track record of developing a highly successful, adaptable, user-friendly platform. The other is an expert in medical informatics, although reviewers expressed concern that a biosketch for this individual was not included in the proposal. -The proposed DCM structure and leadership would likely ensure solid database structure, data access and visualization capabilities. - Reviewers considered the details provided on the data management plan to be inadequate; there was little description of how the DCM Center will participate in data integration and analysis or interact with various projects. - Reviewers acknowledged the importance of patient privacy protection but felt the focus on this issue in the application was overemphasized and distracting. - The descriptions of data visualization tools are reasonable but not particularly innovative or tailored to the specific needs of the stem cell community." Here are comments concerning the process involving a $40 million stem cell genomics award by the California stem cell agency last month. The remarks were provided at the request of the California Stem Cell Report with the promise that they would be carried verbatim. The person providing them asked not to be identified by name, but is familiar with the agency. “1. It appears that CIRM staff took a lot of liberties behind closed doors in driving this initiative to its final outcome. For example, what happened to require a resubmission and re-review etc. Did they change anything about this initiative in the process? Were certain criteria shared with some but not all applicants? “2. It also appears that the board was taken by surprise and not prepared to deal with the complexities in this initiative. Clearly staff has not kept them in the loop and they had little access to the details of the process and how reviewers were managed. They have always funded the vast majority of what the reviewers scored highly, and still did not break the bank. This is a brand new situation where the reviewers recommended more grants than they could afford to fund. This happens a lot in the NIH (especially today with severe budget cuts), so NIH has developed many processes to deal with this. CIRM has not seen anything like this before. “3. The process of board approval, and the tiny amount of information they were provided in order to make their decisions, means that they had to rely completely on what staff says. This means they have no way to do anything but accept staff recommendations. The questions (all legitimate) raised by the certain members of the board were by and large not understood or picked up by the other voting members, so they went nowhere. “4. Whereas the staff was fully prepared to deal with questions raised in letters from the dissatisfied applicants, the board had no context to really appreciate these questions, nor the details of the applications to 'get' the implications of these concerns. “6. I did not like their final compromise. They could have just funded the co-ordinating center, then go into closed session, asked to see the applications in private and picked to fund the best individual projects. Now Stanford got even more money than they had asked for, and Stanford gets to decide which of their competitors to fund. Incredible! 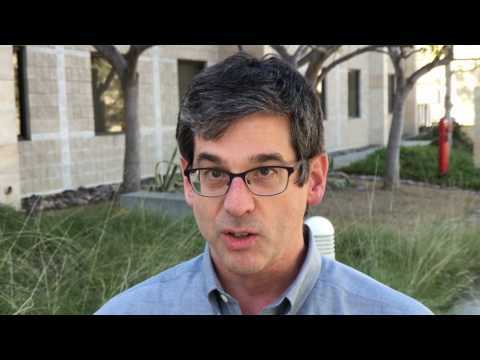 In response to a query from the California Stem Cell Report seeking comment on the review process for a $40 million stem genomics award, Michael Snyder of Stanford and Joe Ecker of the Salk Institute in La Jolla provided these remarks. Their application was the ultimate winner. Marcy Feit, a member of the governing board of the $3 billion California stem cell agency, this week suddenly resigned as CEO of ValleyCare Health Systems in Pleasanton, Ca., a position she had held since 1997. Feit has served on the stem cell board since 2005. 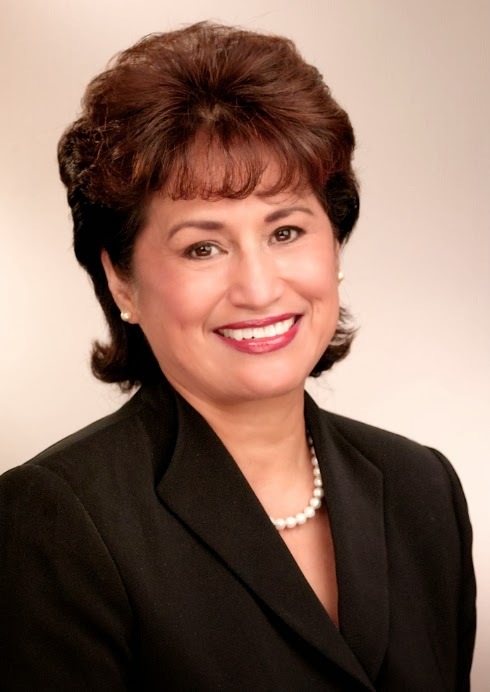 She was one of the few minority women to head a California health care system. Some members of the stem cell board serve as a result of their professional capacity. In the case of Feit, she is a patient advocate member. It is unclear how her resignation might affect her continued service on the board. Feit's resignation was first reported by Jeb Bing of the Pleasanton Weekly. The agency hopes the plan will lay a foundation for the stem cell industry in California and capitalize on the growing allure of stem cell treatments. CIRM President Alan Trounson, who plans to leave the agency this year, has been pushing the Alpha Clinic plan since 2011. Beyond the agency's millions, CIRM has told applicants rather delicately that they have an obligation as well. “Show us the money” is the message obliquely contained in the agency's request for applications (RFA) for the Alpha awards. The issue of matching funds is a tender spot for the agency this week given the flap that arose in the recent $40 million stem cell genomics round. A requirement for contributions was not mentioned in that RFA, leading some unsuccessful applicants to not include any. Stanford won with what it says is $7 million in matching funds. CIRM's Alpha Clinic RFA does not mention cash, matching or money. But it does say the selection criteria involves in-kind or “other forms of support” and “sustainability,” which usually means a plan for raising cash or showing that cash is in hand. A coupled RFA is a tad more explicit. It mentions criteria involving “financial strength,” leveraging “assets” and “effectiveness in attracting a funding steam” after the award runs out. One or more applicants may think that the best way to show effectiveness in funding is to demonstrate it from the very beginning with a handsome sum. Eight existing academic centers with hospitals were invited to apply last month to become Alpha Clinics, which will be one of CIRM's signature efforts, given the size of the round and its scope. Up to five awards will be made in that $55 million plan. In a related RFA, five applicants have been invited to apply for one $15 million award to create a stem cell information and data management center. Not all of the five have been invited to apply in the clinic round. Awards in both categories will be for five years. Kevin McCormack, senior director for communications at CIRM, said the invitations to compete were culled from 14 letters of intent to apply. The stem cell agency generally declines to disclose the identities of applicants for awards, although it has done so on at least one occasion in the past. CIRM says its Alpha Clinic plan is aimed at providing “critical operational support for the conduct of clinical trials for investigational stem cell therapies” and to create “centers of excellence” for approved stem cell therapies. Applicants should show that at least two “lead clinical trials” will be conducted at their institutions along with a “committed source of funding” for each trial. CIRM said it would not pay for the trials or construction or renovation of facilities. In addition to gathering medical data, the $15 million information center will be involved in marketing to potential patients and public communication. The RFA calls for the center to campaign against the “dangers of stem cell tourism,” which is increasingly growing overseas. The information center will also be involved in developing data to convince insurance companies and governments to cover the cost of stem cell therapies, which are predicted to be very expensive. Because no more than five clinics may be funded, the chances for the eight are good. However, the CIRM governing board is increasingly feeling financially pinched as the agency's funds dwindle. Cash for new grants is expected to run out in the latter part of 2017. The board could back away from the idea of five clinics depending on what grant reviewers say. Applications are due March 14. Board action is expected this summer with funds going out next fall or shortly thereafter. A Question of Orthodoxy: Would California Have Funded Vacanti? As UC Davis stem cell scientist Paul Knoepfler points out, it was a blockbuster story that grabbed attention around the world. Not only within the professional stem cell community, but outside it as well because of the promise that the use of human embryonic stem cells could be avoided. So Knoepfler wangled an interview for his blog with Charles Vacanti, the man of the hour. He is head of the anethesiology department at Brigham and Women's Hospital in Boston. He is also a “virtual outsider to the highly competitive and fast-moving stem cell field,” says Carolyn Y. Johnson in a piece in the Boston Globe. But it was Vacanti and his people who made the discovery that a simple acid bath could be used to generate pluripotent stem cells. One thing is fairly certain based on the Johnson's Globe piece on Vacanti, which was headlined, “Ignorance led to invention of stem cell technique.” Vacanti's research would not likely have been funded by California's $3 billion stem cell agency. Its grant review process is dominated by persons who also dominate the current thinking in the stem cell arena. And Vacanti represents a departure from orthodoxy. He also would have been found lacking on a host of grounds, ranging from his professional background to his earlier research.